Seven years ago, celebrated radiologist Dr. Manuel Rose bought one of Florida's oldest ice arenas and saved it from bankruptcy. Opened in 1985, the Clearwater Ice Arena had fallen into disrepair. Rose quickly appointed new management and dove into renovations including a new roof, concession stand and revamped pro shop. The facility opened its second sheet in the summer of 2016 as a part of a long-awaited $5 million expansion. 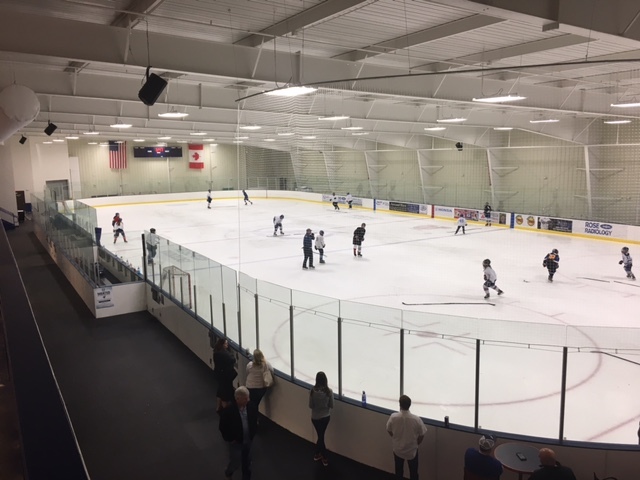 "It's the oldest rink in Tampa Bay, and the old rink was not meeting the needs simply because of the growth of the sport," says Rose, a major Tampa Bay Lightning sponsor and former Tufts University hockey player. "And also, it was old. Like everything in life, things need to be updated. So, the new rink compliments the old rink." Rose turned to the architects at HTG for their expertise. He appreciated that they had offices in Minnesota—known for its hockey prowess—and specialized in ice rinks. The process was straightforward. He started the ball rolling by simply making the call. The rest, as they say, is ice-making history and the groups now have Clearwater Ice Arena to show for it. Unlike the older rink, the new 200-foot-by-85-foot surface at the Clearwater Arena would meet NHL regulations and have a capacity of up to 1,200 people. The updates also brought new locker rooms, a fitness center and a training room with synthetic ice. Spectators could enjoy watching figure skaters and hockey players from an observation deck on the second floor that wraps around most of the rink. Aptly nicknamed the "Sunshine State," Florida isn't the first place people think about when it comes to ice hockey. However, the sport is growing for youth and adult players alike. USA Hockey reports that more than 15,000 hockey players were registered in Florida for the 2017 to 2018 season. It's come a long way since the 1970s when hockey in the state was almost unheard of, and impassioned players had to leave the state to pursue the game they loved. As Rose puts it, Florida players get the best of both worlds—playing hockey while still enjoying warm weather year-round. The Clearwater Arena, for one, is just a half hour away from the celebrated Clearwater Beach (Trip Advisor rated it as the No. 1 beach in the United States last year). Rose credits the growing interest in the game to the success of the Tampa Bay Lightning. The better the team, the more people want to watch and play. "Nobody's even close to the Lightning in the standings for the NHL (right now)," Rose says. "The Lightning are poised to win the Stanley Cup. Three of the last four years, they won the (Eastern) Conference Finals. Three of the last four years, they're one of the top NHL teams." With the Lightning’s resurgence, the Tampa Bay area has more ice rinks per capita than other surrounding areas. The University of Tampa and a number of local hockey leagues and figure skating clubs call the Clearwater Ice Arena home. At least 20 high schools in the area play locally, and the facility hosts countless opportunities including learn-to-play and learn-to-skate programs and hockey camps. The new sheet addition serves so many, and the partnership between HTG and Clearwater helped make it happen. "For most people in the Tampa area, if the ice is cold and slippery, they're happy," Dr. Rose says.